Attorney Esmeralda Alfaro has practiced immigration law her entire career. She knew when she entered law school that helping immigrants get an opportunity to succeed in the U.S. would be a big part of her service to the community. As a first-generation immigrant, Alfaro learned first hand how difficult it can be to deal with immigration law in the U.S. The law firm of Esmeralda Alfaro, INC. was founded to give immigrants a healthy, caring place to come for their legal problems. We are considerate of our clients' needs — and what you can afford. Our attorney and staff are at court every day, working on immigration cases. We are very experienced and are extremely familiar with the judges and the procedures of the immigration court. For more information about our lawyers, please check below. Esmeralda Alfaro received her Bachelor of Arts degree with an emphasis in business from the University of California, Los Angeles (UCLA). She obtained her Juris Doctor from University of California Hastings College of the Law. 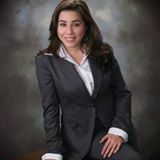 Ms. Alfaro began her legal career as an immigration attorney with the Law Offices of Diana M. Bailey and later became a partner in the firm Bailey & Alfaro, Immigration Attorney. Ms. Alfaro practices only immigration law and has litigated in many areas of immigration law such as cancellation of removal, immigration waivers, asylum, withholding of removal, the Convention Against Torture, derived citizenship and appeals. Ms. Alfaro has been admitted to practice before the Supreme Court of California, the United States District Court for the Central District of California, the 5th Circuit Court of Appeals and the 9th Circuit Court of Appeals. She is currently a member of the Los Angeles County Bar Association, and the American Immigration Lawyers Association. Contact us by e-mail or call toll free at (213) 623-5758.